Volvo is a Swedish automotive manufacturer. The company is keeping a strong foot forward when it comes to Trucking. The Volvo trucks are known for durability, power, and efficiency. The extensive research plays a major role to take the brand forward. Volvo VNL Trucks are next-generation trucks. The VNL is designed for long-distance hauling. The efficient engines with high comfort levels increase the efficiency of drivers as it lowers stress levels. The significant improvement in aerodynamics helps to gain efficiency; hence more hauling in the same cost. The fuel efficiency is a crucial part of any transportation business. Volvo addresses this need by continuously improving various factors associated with fuel efficiency including power-train management. The automated manual transmission (AMT) with digital intelligence helps to save fuel. Furthermore, the I-see predictive cruise learns the terrain and automatically adjusts the fuel consumption. Volvo's adaptive loading senses the weight and lifts the axle when not needed; reducing friction. The Turbo-compounding feature helps boost power. In this feature, the secondary exhaust turbine is employed very next to the main turbocharger recovering 50 hp of power that equates to fuel economy improvement of 6.5%. At the same time, Volvo provides eXceptional efficiency (XE) packages for customized application. In addition, they provide a customized solution for every transporter need. It includes a selection of the engine and selecting i-shift and so on. 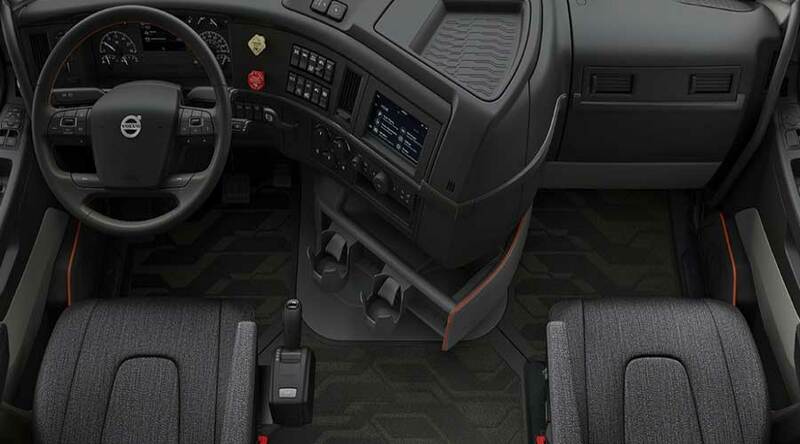 This customization ultimately decides the efficiency of the truck in the long-run. In VNL series, the environment around the driver is most comfortable. The driver is the main aspect while making the profit. However, most of the time the drivers are ignored and it ultimately hampers profit. VNL addresses this issue by providing more comfort inside the cabin with very functional utilities. The more ergonomic seats enhance comfort and change the work environment. Long-distance hauling often comes with night halts. So, living space is more important. 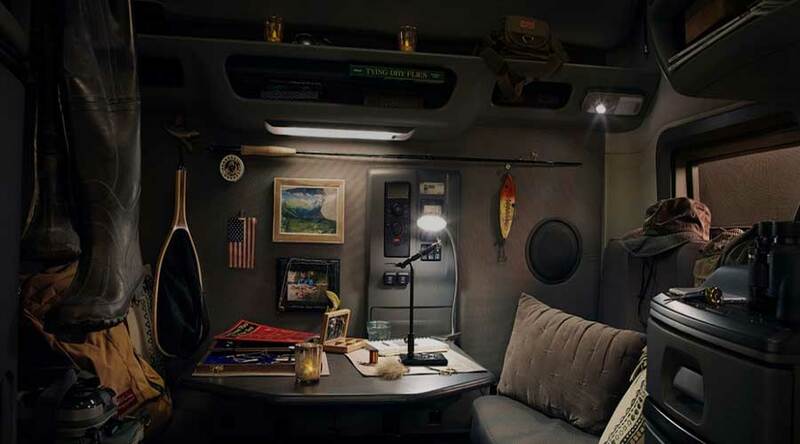 Volvo VNL also takes into account the living space for the driver. No two drivers are alike. The new position-perfect steering adapts to the new driver. The drivers can simply change the steering position in endless possible combinations. The position-perfect steering wheel is adjustable with ideal angles and height. So drivers have more choice to select the most comfortable steering position. The sleeper control panel has all the controls including locking, lighting, inverter, and cooling. The audio and charging ports are also present. The cabins are large enough to accommodate a refrigerator and microwave. 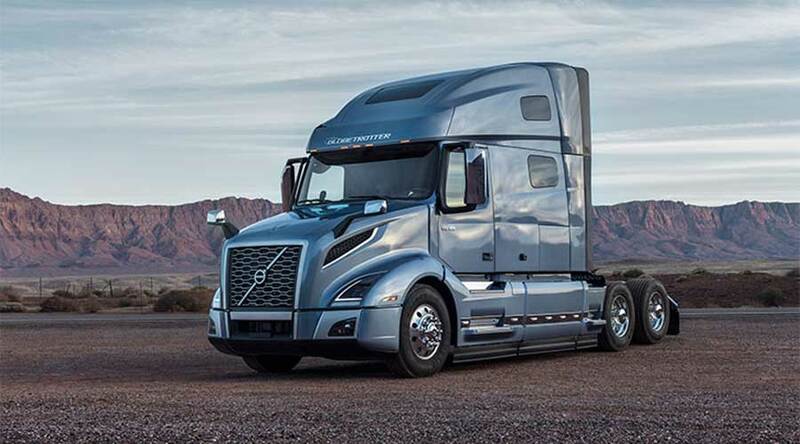 The Volvo VNL comes with cab suspension, outboard-mounted air springs, shocks and stabilizing rod. So, the combination of all this gives you feeling of gliding in the air while on the road. The exterior is optimized for efficiency and dynamism. The improved airflow at the front end ensures optimum performance all the time. The new LED lighting gives more visibility and less maintenance. The roof air-deflector along with aerodynamic mirror design reduces aerodynamic drag. The redesigned chassis fairings optimize the airflow below the truck. The driver is a top priority while designing interiors. The current and future drivers are also taken into consideration. The commanding position with more visibility increase road safety. The dashboard is easily accessible with all the controls being near the driver’s hand; hence distraction-free driving. The VNL sleeper makes you feel like home. The five-inch driver-display gives all information you need. The steering mounted controls come in handy. The wide range of vehicle diagnostics is available on a touch of a button. Infotainment system comes optional and includes a seven-inch touchscreen. The reclining bunk is a new feature and helps to add more convenience to the driver. The optional tabletop configuration is also available. It also has the ladder to move towards top bunk and it is retractable as well. So, the 70 inch long sleepers maximize the living space. Three trims are available viz. Limited Trim, Touring Trim, and Fleet Trim. All trims come in different styles, colors, and inserts. In conclusion, Volvo VNL Trucks are changing the long-haul trucking, making it more enjoyable and comfortable and more convincing to new drivers. It is surely one step forward towards the betterment of truck drivers and trucking industry as a whole.